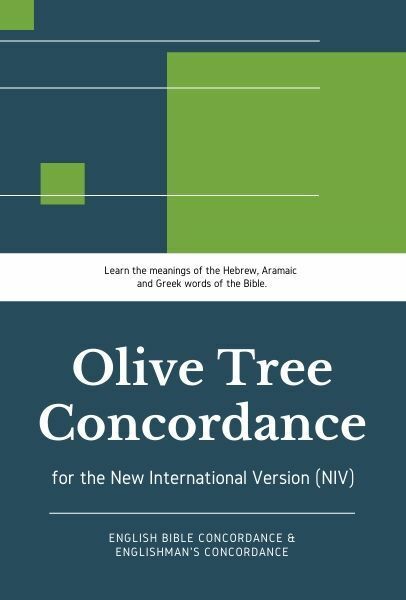 The Olive Tree NIV Concordance is both an English Bible Concordance and an Englishman's Concordance! The New International Version (NIV) is also included! This powerful resource, based on the NIV translation, will greatly enhance your word studies, and works with the Dictionary Look up feature in The Bible Study App. It is a great way to find cross references and the different meanings of the Hebrew, Aramaic and Greek words in which the Bible was written! Upgrade Pricing Available! If you've previously purchased a qualifying item, like the NIV Bible text, you can purchase this item for a special upgrade price. The upgrade price will be visible when you log in to your Olive Tree account and add the item to your cart (NOTE: Upgrade pricing is only available on www.olivetree.com, and not via in-app purchase).